How do you convince consumers to get screened for sleep apnea—something they either dread or don’t know a thing about? A little bit of humor, compassion, fear and facts! 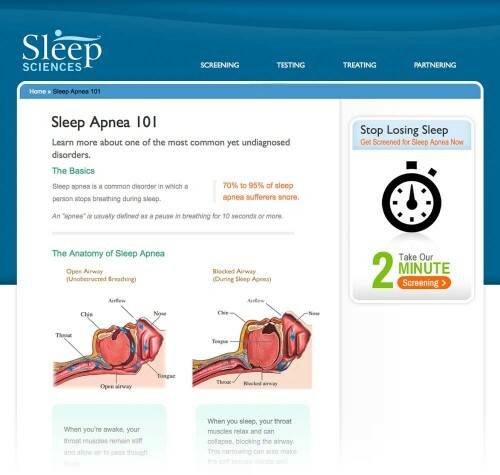 Like the fact that 85% of sleep apnea sufferers are currently undiagnosed. 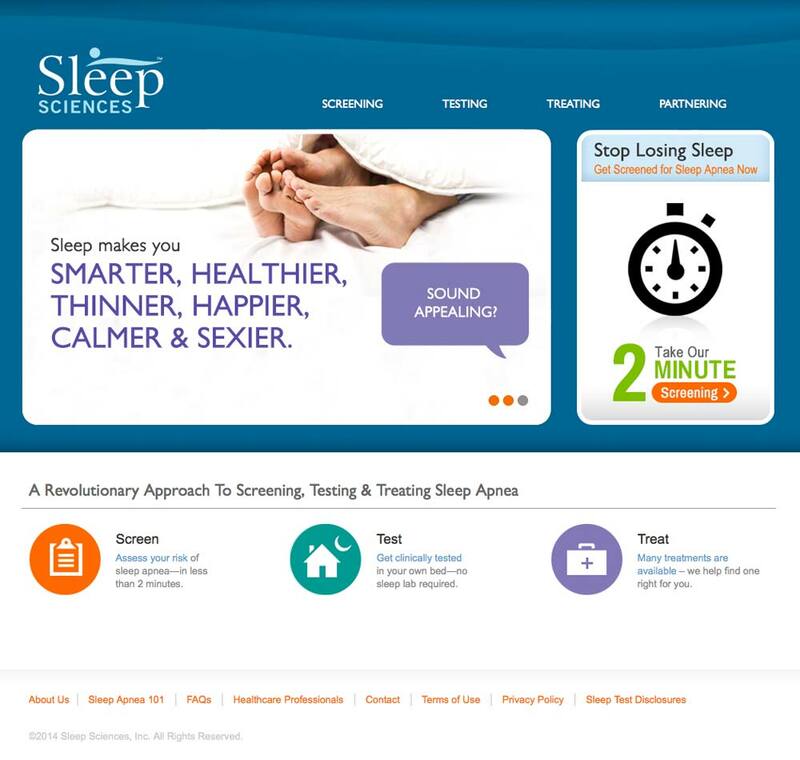 Yes, getting a good night’s sleep is serious business. No surprise, it’s highly competitive with a crowded field of players. 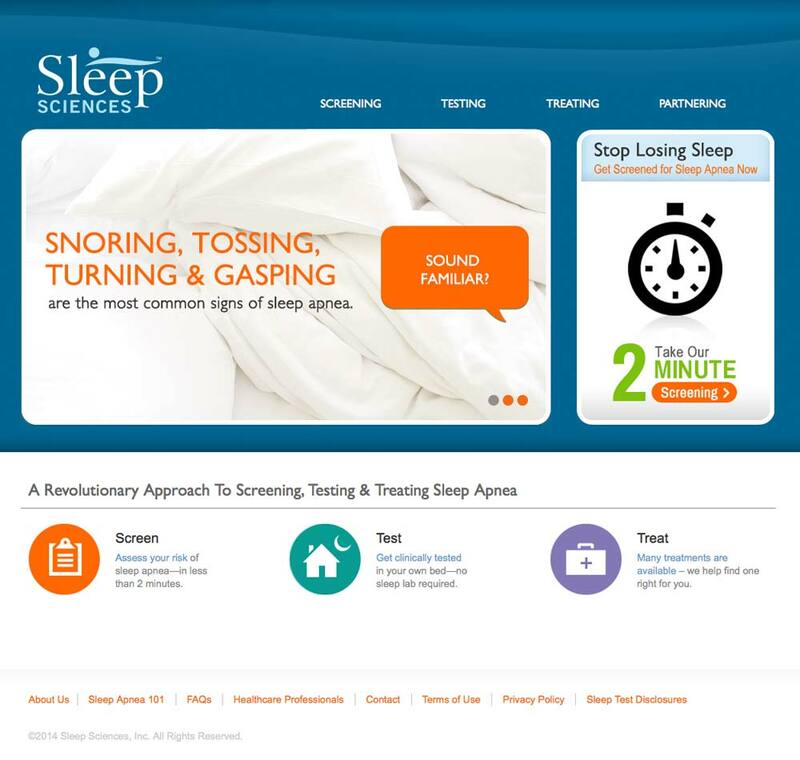 Enter Sleep Sciences, a revolutionary approach to screening, testing and treating sleep apnea. Our approach to launching the company: strategize to understand the target, develop unique positioning to reach them, and formulate messaging to tell the story. Next, create concepts that deliver on the strategy. And last but not least, develop clear, educational, and engaging copy to encourage action. Got 2 minutes?